PT Bank Rakyat Indonesia Agroniaga Tbk - Bank BRI AGRO or widely known as "BRI AGRO" is a rapid growing commercial bank in Indonesia with core competencies on agribusiness segment. Bank BRI AGRO is a member of state-owned financial giant PT Bank Rakyat Indonesia (Persero) Tbk (BRI Group). As of December 2016Bank BRI AGRO is 87.23% owned by BRI Group, 7.08% by Dana Pensiun Perkebunan (DAPENBUN) and 5.69% by general public. Based in Jakarta, Bank BRI AGRO has 16 branch offices, 19 sub branch offices, 4 cash offices, and directly employs nearly 640 staff. In term of financial positions, Bank BRI AGRO recorded a satisfying financial result in the business year of 2016 (ended in 31 December 2016). According to PT Bank Rakyat Indonesia Agroniaga Tbk Annual Report 2016 as cited by JobsCDC.com, BRI AGRO booked total assets of Rp 11,377.96 billion in 2016. This reflected an 36.02% increase from Rp 8,364.50 billion in the same period at the previous year. Referring to its annual report, total net income for the year booked a 28.6% growth, reaching Rp 103.00 billion from Rp 80.5 billion in the same period at previous year. Candidate holds at least a Bachelor Degree (S1), majoring in Accounting, Economics Studies, and Management. Have a GPA score minimum 2.75 (scale 4.00). Good looking, communicative and persuasive. Able to work using computer especially Microsoft Office and Excel. 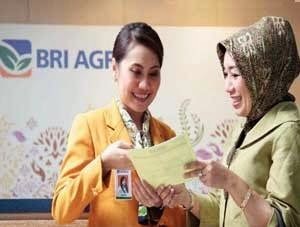 Willing to be placed in all office networks of Bank BRI Agro. JobsCDC.com now available on android device. Download now on Google Play here. Please be aware of recruitment fraud. The entire stage of this selection process is free of charge. PT Bank Rakyat Indonesia Agroniaga Tbk - Officer Development Program BRI Group July 2017 will never ask for fees or upfront payments for any purposes during the recruitment process such as transportation and accommodation.